Discover Premium Professional Construction WordPress Themes that suit and fill your needs according to your requirement. We make it easy for users to choose the best WP themes on each category to select the right WP theme for the website. WordPress Premium themes you will find on eWebCraft are SEO friendly, fast to load, well maintained, responsive and mobile-friendly. All themes are carefully evaluated and reviewed to make your life easier. The most famous categories for WordPress themes are Construction, Entertainment, Equestrian & Horse Riding, Garage Door, HVAC, Blog, Landing Page, plumbing, Pool Cleaning, My Tube, and many others. Additionally, you won't even need to spend hours researching a variety of themes online. Scroll down, and you discover all of the wonderful Construction WordPress Themes categories down for you. 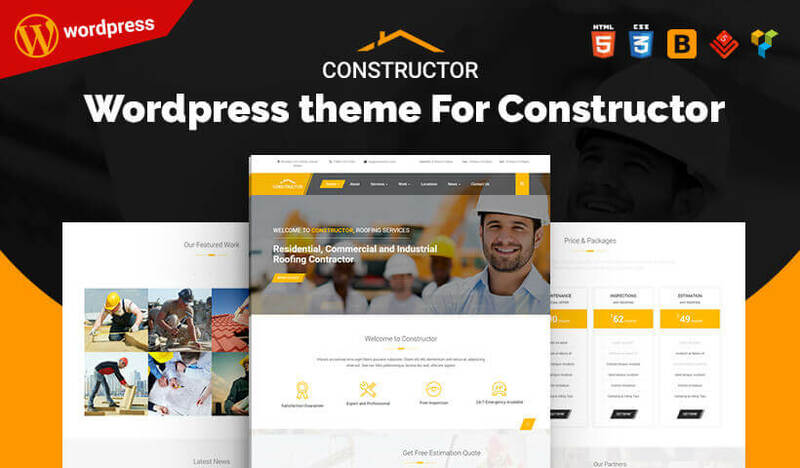 Constructor is a WordPress theme for builders to be a symbol of your construction business online in 2019. 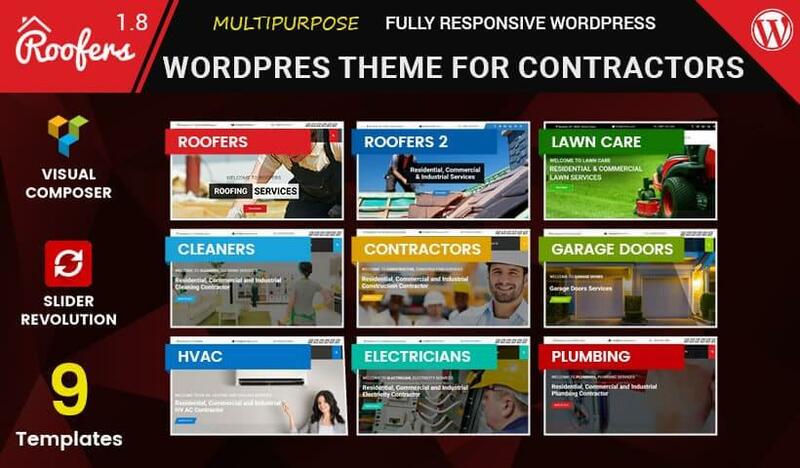 This construction company WordPress theme lets you make a web site for a construction firm or company, or even a builder, or a builder's business. Visual Composer support is there for drag and drop page building. The theme has some gorgeous parallax backgrounds also. To incorporate the e-commerce facilities at the theme, you may use the WooCommerce plugin. Our construction WordPress themes are SEO optimized and mobile responsive. There are lots of customization options using Constructor WordPress Theme. Therefore, you can make a distinctive customized site working with this theme. WordPress theme for construction enables you to create personalized WordPress websites in minutes with a simple to use visual composer. This WordPress construction company theme enables you to customize look and feel of your website. Rather than bombarding you with unlimited choices, it provides you main, secondary color options which will radically change the colours across your website. This theme keeps away the bloat and contains only those items that you need. The final result is a quicker and easy-to-use site. Your Roofing WordPress Theme website says many things about you as a roofing contractor. That's the reason why, when creating your roofing contracting site, it's vital to decide on the ideal roofing WordPress theme. There are a whole lot of cheap, poorly constructed site themes available for downloading online. As a roofing contractor, it's essential your site be reputable, dependable and enlightening as possible when dealing with your clients. You enjoy the job you perform, and your site should reflect the quantity of expertise and professionalism that you place into your craft. Roofing WordPress theme designed and developed for construction businesses powered by eWebCraft, it provides several features to make your own site easily. Roofing is a highly elegant and responsive WordPress theme for both roofing, construction and renovation businesses, it's especially made for roof repair, plumbing, restore, handyman, maintenance, asphalt, industrial, technology, paving, repair, renovation, carpenter, home improvement, painters.